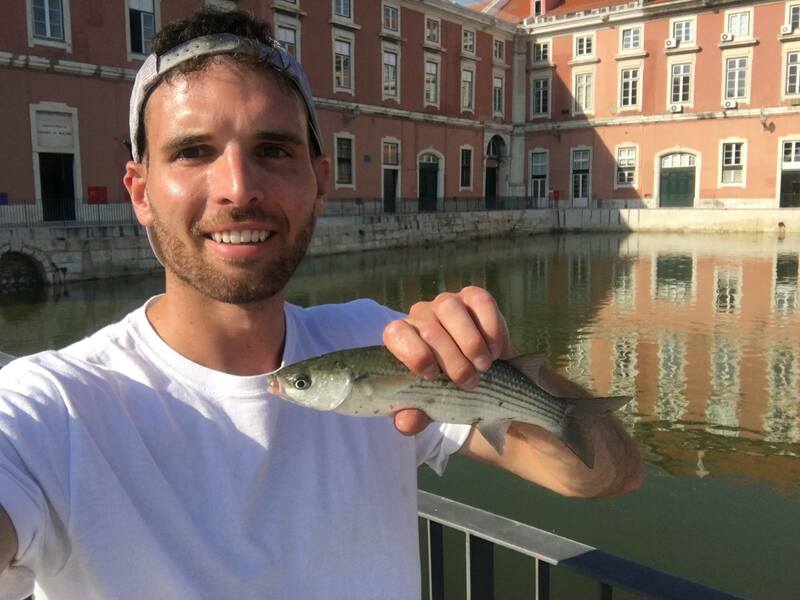 This fish isn’t unique to Portugal, but it was my first European catch: Thicklip Gray Mullet. Traveling internationally is a phenomenal opportunity. It’s even better when it’s free. I was selected to travel together with a group of fellow teachers through the Center for Geography in Oregon (C-GEO), the state-level National Geographic affiliate, to learn about the geography of Iberia and then teach it in the classroom. In short, I became a Teacher-Consultant for National Geographic, and I had an all-expenses-paid trip to Portugal and Spain. Though these wouldn’t have been my first travel destinations, I’d never been to Europe before. In fact, I’d never even been to a country that wasn’t a former part of the British Empire (I’d only been to the USA, Canada, and New Zealand at that point), so I figured it would be a culturally-immersive experience. Long before landing in Lisbon, our first stop, I researched fishing opportunities in the city. There is very little freshwater fishing culture in Portugal, and what was available was all in Portuguese. That said, I refused to admit defeat and packed my rods. Tragically, the inland fishing in Portugal is terrible. There’s little water and even less fish in that water, invasive Common Carp having displaced most of the awesome native species like Andalusian Barbel. So after several attempts to find fish in the 10-plus-miles of walking we did every day, I was a little disappointed. The only places that had fish were tourist traps with Goldfish and other ornamental offerings not really ideal for fishing — especially given that night fishing of any sort is illegal in Portugal. To further complicate matters, fishing licenses are only available from a Multibanco machine. This effectively means getting a fishing license as a nonresident is all-but-impossible. In fact, they only have one kind of fishing license, and you must have an account with Multibanco to buy it. After trying to pay several locals to buy one for me, I eventually gave up and decided to just risk fishing without one. From what I could find online, fishing was barely regulated, and you usually just had to pay a small fine if you were found fishing without a license. License (or lack thereof) sorted out, I moved on to bait. Since most species still surviving in Central and Southern Portugal’s fresh waters aren’t predatory — save for the widely introduced Largemouth Bass — I had to find bait. Worms were nowhere, and since the culture only really cares about saltwater fishing, inland tackle shops don’t exist. My obvious choices were corn and bread, but American-style bread is almost impossible to find, so it meant trying to stick bits of pastries (the only bread I could get to stay on a hook) on baitholder single and treble hooks. It was rough, to say the least. 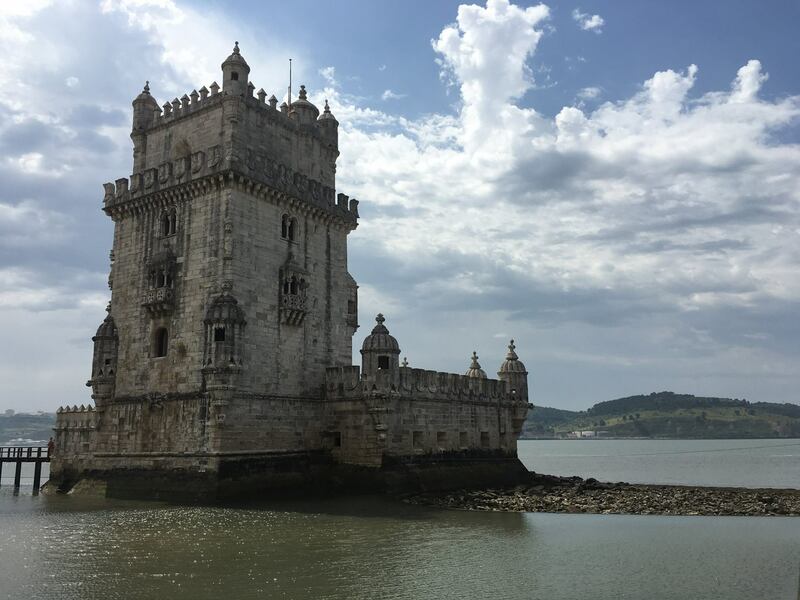 Fortunately, there was an abundance of beautiful architecture to keep me busy, including the Torre de Belem. Torre de Belem is a former naval watchtower near the Port of Lisboa. The Euro Cup was in full swing during my visit, and Portugal was making a strong showing. They’d go on to win before I left the country, so that made the experience really enjoyable. I watched one match on a massive, 50-foot outdoor screen maybe 200 yards from the river’s edge, and I was offered drugs more times that night than in the rest of my life combined. 21. I now know what meth, black tar heroine, cocaine, and and everything else you can ingest to kill brain cells looks like. I took a quick break from the game and noticed a small, seemingly enclosed area with fish in it. I would be back tomorrow with fishing gear. When I finally found fishable water, it was in a small concrete diversion pond maybe 100 yards from the edge of the Prime Minister’s Residence. Armed guards were everywhere, and I fully expected to be arrested or shot at. Fortunately, I made it very clear I was fishing, made no sudden moves, and the one guard nearby kept an eye on me. To further complicate matters, the only fish I could see in the clearish water were mullet, a fish notoriously difficult to catch. The final factor working against me was the 105-degree heat. Standing in direct sunlight, I was sapped of energy with every second in the sun. After nearly an hour, I finally got one to nibble my bread and set the hook. Bingo. The guard kept looking at me and talking on his radio, but once he saw I had a fish on, he smiled and must’ve realized I wasn’t a sniper waiting to behead the government. I lost that fish as I pulled it over the railing. I touched the leader, but I couldn’t get a picture. After two hours or so, I opted to just snag the damn things. That’s easier said than done with light line while fishing 30 feet above the water’s surface for relatively small fish, but I finally got one. I grabbed a quick photo, and the guard gave me a smile and a thumbs-up. I guess I wasn’t going to be shot or imprisoned after all. The guard is just out of frame over my right shoulder. Later, I’d identify it as a Thicklip Gray Mullet. A new species, sure, but unfortunately one that is actually found in the New World, as well. I spent another hour trying with bread again but to no avail. The fish I caught seemed to be the only species present, and I didn’t want to push my luck, so I got out of there. 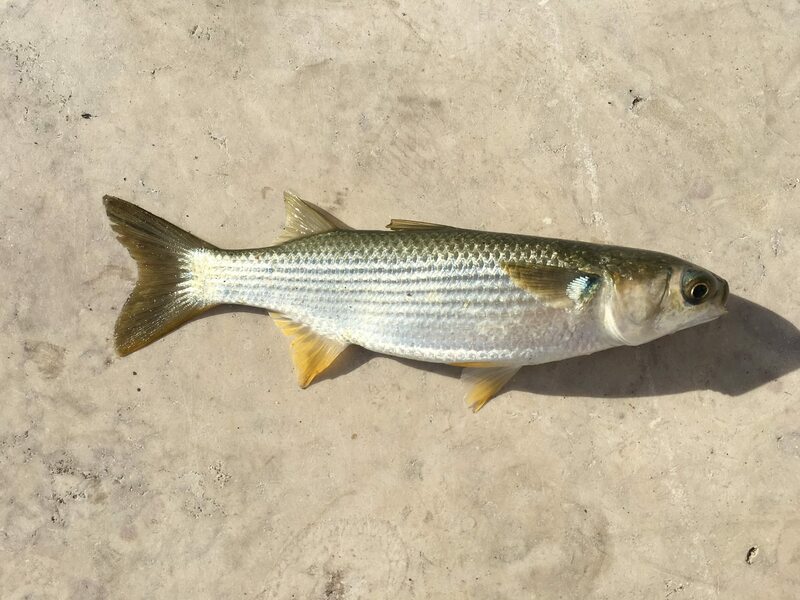 Read the next entry in #SpeciesQuest here: Species #79 — Striped Mullet.